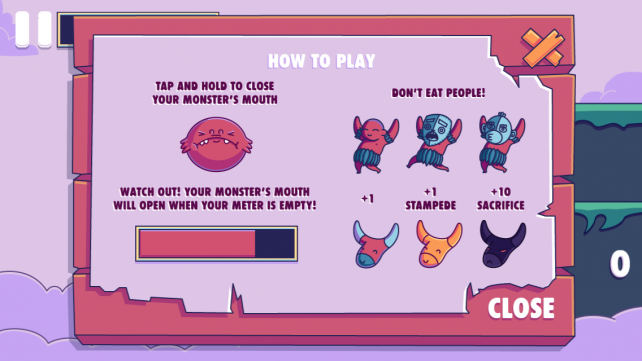 Don't Eat People (Free) by Piasa Games, LLC is a charming and adorable tapping action game that tests your abilities as you play the role of an adorable but fierce monster. You are a very hungry monster, conveniently located at the bottom of a cliff that many creatures fall off of, plopping right into your mouth. However, as the title of the game suggests, there is a big catch. Sometimes, it isn’t animals, but people that will jump off of the cliff into your mouth. Hence, the object of the game: don’t eat people. Your monster can open and close his mouth with a tap on the screen. The challenge is to strategically keep its mouth open for animals to eat, but keep it closed for people. Then, you try to keep on selectively devouring for as long as possible without accidentally swallowing a person, in which case, you sink into the sea in defeat. 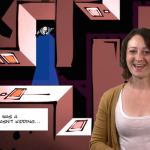 I especially enjoyed this app because it has a unique premise paired with beautifully illustrated graphics. The characters are drawn with stunning detail and bright colors, and are simply adorable. 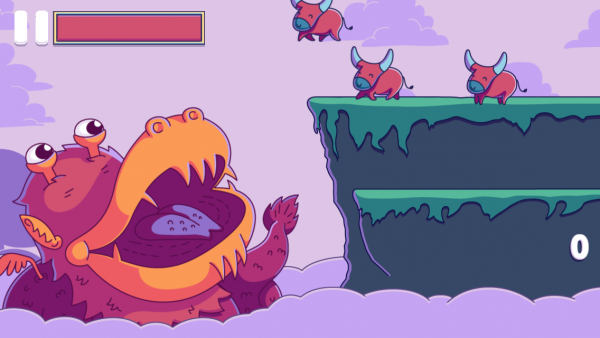 Don’t Eat People is the perfect game for kids or for anyone who just doesn’t like games with complicated or hard-to-learn controls. 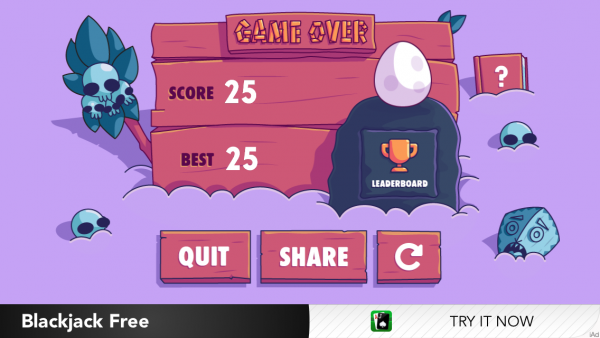 This app is so addictive because it’s simple to learn, but hard to master. 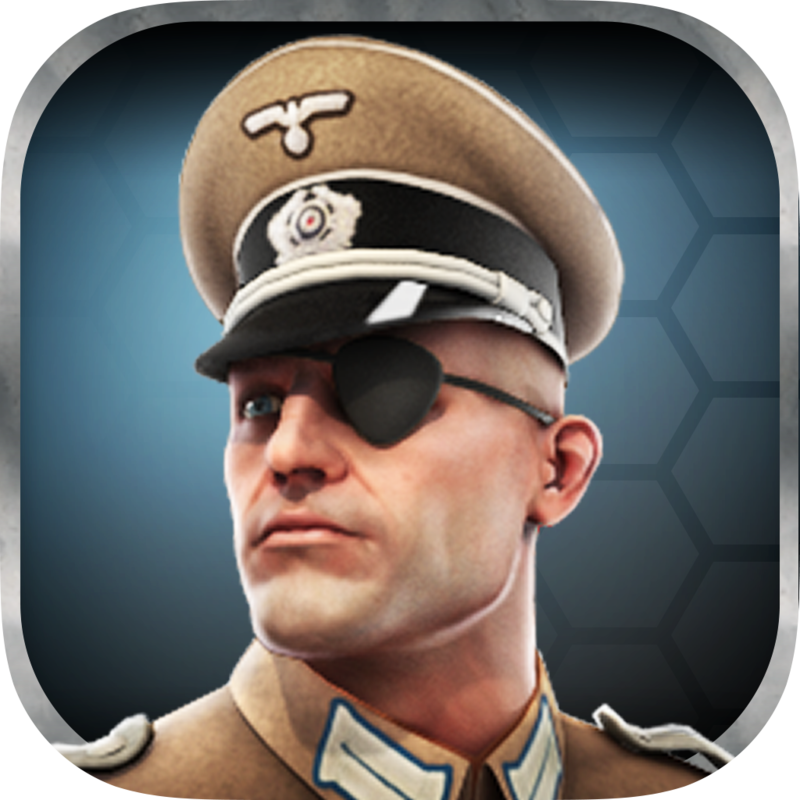 If you’re looking for a more involved game, I actually just reviewed Panzer Tactics HD, which is based on a Nintendo DS game, so it’s very complex and great for hours of fun, especially for history buffs such as myself. 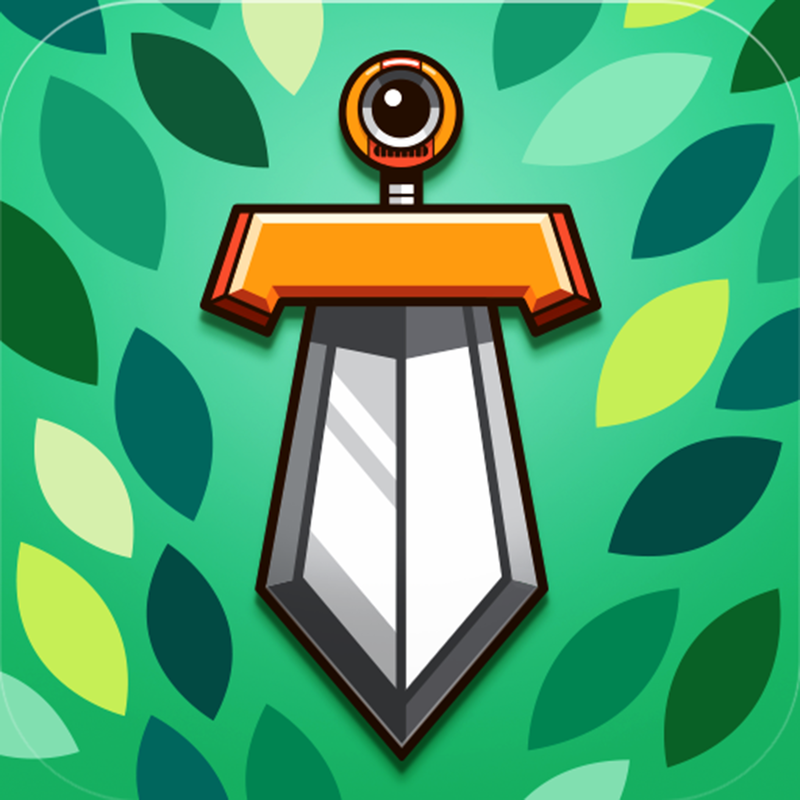 Another recent game you’ll love is Bonsai Slice, a unique and clever game which turns your iOS device into a sword for hours of fun. The only complaints I have about this game are the ad banners. It is to be expected in a free game, and that being said, they are relatively inconspicuous compared to some of the other games I’ve tested. The only ads, as seen in the screenshots, are small, silent, and at the bottom of the screen. Next time you’re sitting in a waiting room, bored at home, or waiting in line, Don’t Eat People should be your go-to app. It’s a quick play, incredibly engaging and hard to stop playing. 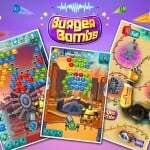 It’s perfect for kids, it’s visually appealing with great sound effects, and easy to learn. 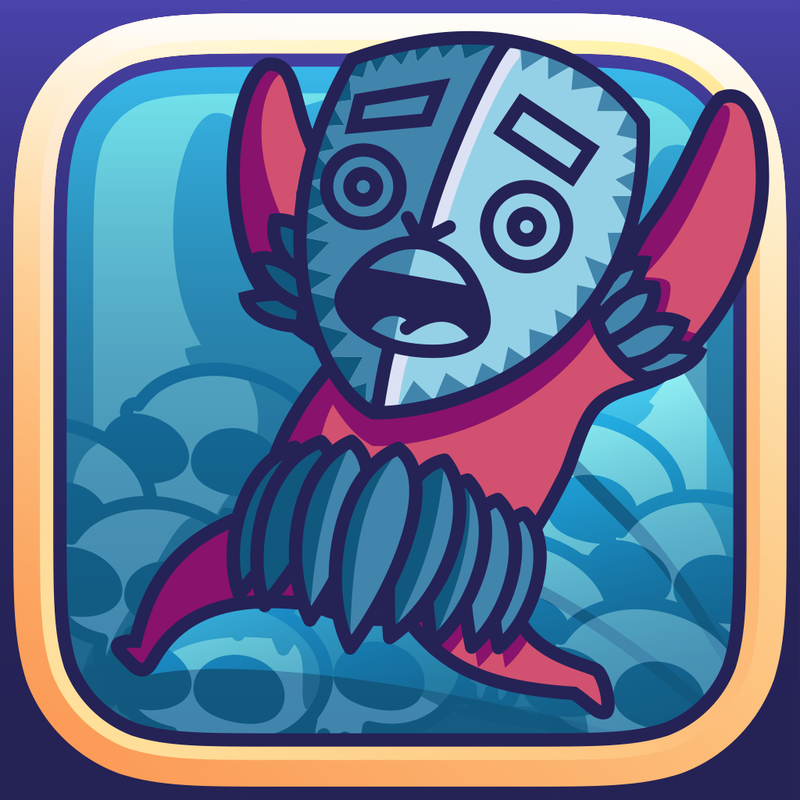 Don’t Eat People is universal and is currently free on the App Store.